‘The orchids and ferns upon this horse-shoe table made the finest floricultural show that had been seen for a long time. There were rare specimens from New Granada and the Philippine Islands; wondrous flowers lately discovered in the Sierra Madre; blossoms of every shape and colour from the Cordilleras; richest varieties of hue—golden yellow, glowing crimson, creamy white; rare eccentricities of form and colour beside which any other flower would have looked vulgar; butterfly flowers and pitcher-shaped flowers, that had cost as much money as prize pigeons, and seemed as worthless, save to the connoisseur in the article. The Vawdrey racing-plate, won by Roderick's grandfather, was nowhere by comparison with those marvellous tropical blossoms, that fairy forest of fern. Everybody talked about the orchids, confessed his or her comparative ignorance of the subject, and complimented Lady Jane. Different as they are, Mabel and Violet are both linked to the ferns and orchids which are brought up again and again throughout the novel. Braddon doesn’t just throw in Lady Jane’s hothouses for fashion’s sake – they serve a metaphorical purpose, especially where the women who compete for her son are concerned. 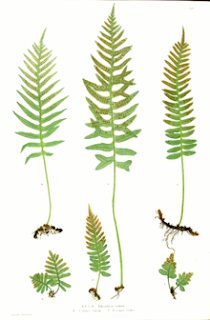 The ferns help show that the central difference between Mabel and Violet is not the ‘species’ of woman they are, but the environments in which they flourish and the strictures under which they have been brought up. Can you think of any other Victorian novels which discuss the fashion for ferns? Let me know here, on Facebook or by tweeting @SVictorianist! Claire Tomalin’s 1990 The Invisible Woman is the biography which was never meant to exist – of Nelly (Ellen) Ternan, actress and secret mistress of writer and famously paternal figure Charles Dickens. And now this biography, which clearly mingles critical concerns with a desire for popular attention, has been made into a sumptuous adaptation, directed by and starring Ralph Fiennes. I was lucky enough to catch the film at an early showing at the London Film Festival, prior to its general UK release date. The large curtained screen and huge auditorium made an apt setting for a film so concerned with the world of the theatre. The movie, like Tomalin’s book, manages to convey something of the milieu of the Victorian stage and the production of Wilkie Collins’s The Frozen Deep (1856), for amateur men and professional actresses, during which Nelly and Dickens first meet, is one of the most convincing and entertaining parts of the film. What makes this work is the close attention to (especially visual) detail. I can’t think of a period film or TV drama with such wonderful costuming, sets and props –and the score and music which characters enjoy within the film is perfect. The visual effectiveness extends to the filmography. It is beautifully shot and the camera lingers on Felicity Jones (Nelly) almost obsessively – her face, her neck, her shoulders – to the extent that I predict a serious upsurge in interest in Victorian hair fashions when the movie hits cinemas in February. And it doesn't just look good - the two central performances are top notch and the supporting cast (especially Kristen Scott Thomas) strong. Technical accomplishment is manifest in all areas of the film and yet, for me at least, it failed to affect emotionally and was a little uncomfortable in its ideological positioning. While Fiennes gives a pretty flawless rendition of a Dickens who is charismatic and attractive, but still potentially dictatorial and controlling, the character never actually progresses beyond the region of stereotype. In this story – one which it is hard not to see as factual rather than speculative when dramatised - Nelly is undoubtedly a victim. Even more than that, all women are by default victims in this patriarchal world. And, when so much of what I do revolves around demonstrating that this model is overly simplistic, and the theatrical and domestic worlds of the nineteenth century not so divided, this is more than a little gruelling. This is coupled with the sort of cod literary criticism which seems to be a prerequisite for any author’s biopic – it’s not enough to be pretty, girls; it’s GCSE-level criticism and talking about your emotional connection with his novels which will snare you your very own literary genius! Some of these concerns, especially over the dichotomisation of gender roles, are a direct inheritance from Tomalin’s biography. But there are adaptive decisions which are similarly a little questionable. The Invisible Woman, as its title suggests, is partly about the erasure of women from history and the film evokes this idea of textual treasure hunt. There’s lots of material in the biography to be drawn on – pocketbooks, diary entries, telegrams, play texts – which give glimpses into Nelly’s existence. The film recognises and exploits this – uses real manuscripts and original copies of Household Words - as if to convince audiences of its verisimilitude. But it cheats its viewers. The central most textual moment – when Dickens signs the birth and death certificates for Nelly’s baby with a false name- is a fiction. No such document has come to light and the very existence of a baby is based on surmises from Tomalin’s most speculative chapter. The baby’s still birth – the most shocking moment visually and emotionally in a ‘soft-focus’ film – is what cements Dickens in our minds as a hypocrite, who has acted like one of his own villains and ruined a young girl, and to disappoint audience expectations about maintaining some level of accountability at this point is a little unsettling. Linked to this is the failure of the frame narrative – Nelly’s emotional struggles, now that she is married and Dickens dead. Not only is it a little unclear why Nelly would be upset to lose Dickens, seeing as their relationship seems a little bleak, but there’s only so much running around windswept but bonneted on an English beach you can do (or watch). And when there was so much rich material out there – in the biography and beyond – this seems like a strange choice. I enjoyed the film and think it opens up many of the areas of Victorian life I find most interesting in an accessible way. But a word of warning – don’t believe everything you see here. Dickens (and Collins and other men too) were subject to societal constraints as much as the women they loved, lived with and (occasionally) married. And they were both (not that the film would have you think this of Collins!) pretty good writers too. Have you seen or read The Invisible Woman? What did you think? Let me know below, on Facebook or by tweeting @SVictorianist! On Friday, thanks to the wonders of Twitter, and the proactive team at the Don't Go Into the Cellar theatre company, I, with slightly bemused companion in tow, found myself in the Tea House Theatre in Vauxhall - otherwise, for the night, 21b Baker Street - enjoying a whirlwind tour through the history of one of English literature's best-loved detectives. The Singular Exploits of Sherlock Holmes is a true labour of love, written and performed by Jonathan Goodwin, who has the distinction of being, not only a versatile actor, but a true Sherlockian, having joined the London Sherlock Holmes Society aged only 13 (only just pipped to the title of youngest ever member by Stephen Fry). What this means is that the whole production, while remaining fun and followable, has a fan-boyish feel. Book history, reception studies and literary criticism are all part of the course, but carried off with aplomb by Goodwin who seems to entirely inhabit the main character who is the life force of the production. The main takeaway from the production for me was just how much of a one man show Arthur Conan Doyle's Holmes books (which first appeared in 1887) always are - not only when brought to life in a one actor play or featuring Benedict Cumberbatch. While Goodwin voiced multiple other characters briefly and convincingly it was definitely all about Sherlock. Watson could even be reduced to a silent coat stand without any substantial loss, and Holmes mockingly elucidated the thought patterns of his non-existent conversation partners succinctly, before dismissing them out of hand. The production also inspired me to think about the art of storytelling and performance in intimate homely settings. 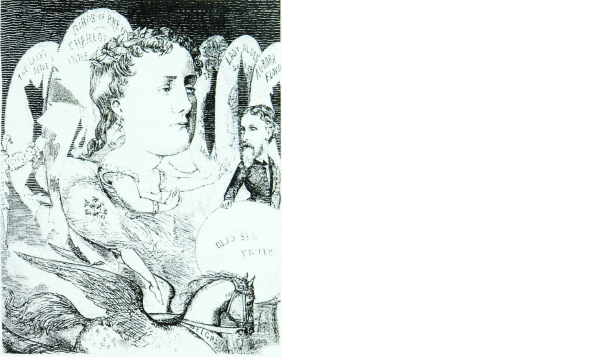 The small audience in Vauxhall sat in armchairs surrounded by tea room bric-a-brac and Holmes’s possessions – fiddle, skull, trunk in which his embodied self is imagined to be trapped, falling into the English Channel, as his life flashes before his eyes (and ours). This is a play, but one which feeds on a tradition of dramatic recital and familial performance popular in the nineteenth century, and, as such, it was an interesting experience. The greater your interest in the Sherlock Holmes canon, the more you’ll get out of this production (which will be continuing its tour in Lichfield, Barnsley, Buxton and elsewhere) – it’s an overview, rather than a whodunit. But Goodwin is worth watching in himself, for his masterly handling of the audience, conversational air and captivatingly eccentric performance. There’s talent and some great ideas here, even if this isn’t your typical polished London theatre, and I’ d definitely go back into the cellar for more. Have you seen Don't Go Into the Cellar's production? What did you think? 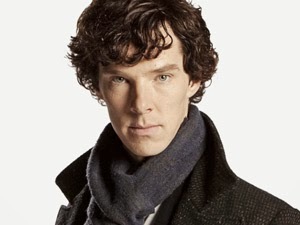 And who is your favourite ever Sherlock Holmes? Let me know below, on Facebook or by tweeting @SVictorianist! In case my previous blog posts haven’t quite given you the impression that I’m something of a Braddon-fanatic, this review of top sensation fiction specimen John Marchmont’s Legacy (1863) should do the trick. This novel has it all – inheritance plots, deaths, fires, madness, false imprisonment, bigamy and unrequited love, while being a rich source of material for students as well as those just looking to spice up their morning commute. John Marchmont, a former schoolmaster turned stage supernumerary, unexpectedly comes into a large fortune, but, being consumptive, doesn’t last long to protect his daughter (and heir) Mary from the mercenary machinations of his cousin Paul. Throw in a poor choice of second wife to act as evil stepmother, and a dashing soldier beloved by both women, and the plot is soon set in motion. For the general reader: This is Braddon at her best – exciting, original and dramatic, while situating her story in a world which is believable and rich in observational detail. The plot, at times, kept even a hardened sensation fan like me guessing, but this isn’t detective fiction – much of the joy of reading here comes from knowing more than the characters themselves, and I found myself simultaneously longing for resolution while not wanting the story to end. This is a novel which cries out for film of TV adaptation. It’s fast-paced and structured around incident rather than reflection. It’s not the sort of book you need to ‘get through’ or struggle on to the end with. Maybe the saccharine, childish Mary is a little hard to swallow as a heroine but Olivia (her stepmother) is a brilliantly drawn complex character and Braddon’s morality by no means clear cut. I’ll be writing for the FWSA blog in the next week about whether we can identify Braddon as in any way ‘feminist’. John Marchmont’s Legacy is the kind of novel (and Olivia the kind of character) which demonstrates that it is worth asking these questions, because, rather than in spite, of her incredible contemporary popularity. For students: Like other sensation novels I've discussed, this is a text obsessed with the relationship between life and drama – the performance of roles inherent to the everyday and the extraordinary. 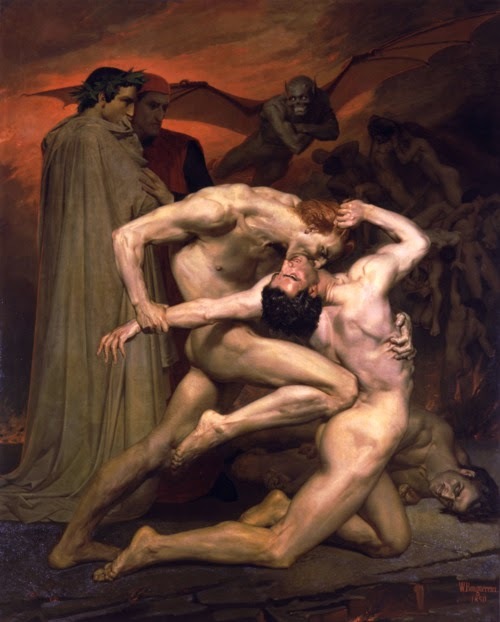 Nineteenth-century interpretations of Shakespearean tragedy in particular (on stage and off) are a key context throughout the novel and something I plan to return to in a later post. The ‘inheritance’ itself – Marchmont Towers – and the fire which happens there clearly links the novel with other Gothic (or semi-Gothic) treatments of the grand country house. Perhaps Charlotte Bronte’s Jane Eyre (1847) or Elizabeth Barrett Browning’s Aurora Leigh (1856) could prove fruitful points of comparison. Paul Marchmont’s profession – as a painter – is also interesting. His violent reaction to a portrait – by Millais, not of his own making – is a fascinating moment, which could be tied into some of the ideas about gendering portraiture I’ve already raised. For those reading Lady Audley’s Secret (1862), the multiple women in this novel linked to ‘madness’ of one form or another would be of interest, while a Charles Reade novel I reviewed a couple of months ago also deals with the threat of false detainment in the period on mental health grounds. What would you like the Secret Victorianist to review next? Let me know here, on Facebook or by tweeting @SVictorianist. And, if you’ve read John Marchmont’s Legacy, let me know what you thought! In an earlier post I dealt with some misconceptions people often have about nineteenth-century literature. And proving it’s not all frills, frocks and runaway marriages is H.G. Wells – one of those with a claim to the title ‘Father of Science Fiction’. Wells gives us invading aliens, mad scientists carrying out warped experiments and the kind of time traveller who has become archetypal. It’s a leap in terms of medium, but not in content, from Wells to films which form most people’s experience of the genre today. The same fears surface again and again, in nineteenth- and early twentieth-century Wells and in twenty-first century cinema, – our potential inferiority to another species, the isolation of being trapped in a different time and, perhaps most pointedly for the issues currently facing the planet, the unsustainability of our current population levels. Watching 2013 summer blockbuster Elysium recently the echoes of Wells were even clearer. The central premise is very close to that of 1895 novel The Time Machine. At a future date (much more distant in the Wells) society is divided – the rich live above in luxury (on the surface of the Earth in Wells, in a spaceship in the movie), while the poor live and toil below (on Earth in Elysium, under it in The Time Machine). But how closely does this parallel run? Are Wells’s idle Eloi so very like those who live in Elysium and what can the differences teach us about the fears of our own age and that of the Victorians? There is, however, a key difference. The time traveller is wrong. This is not all that he is witnessing. 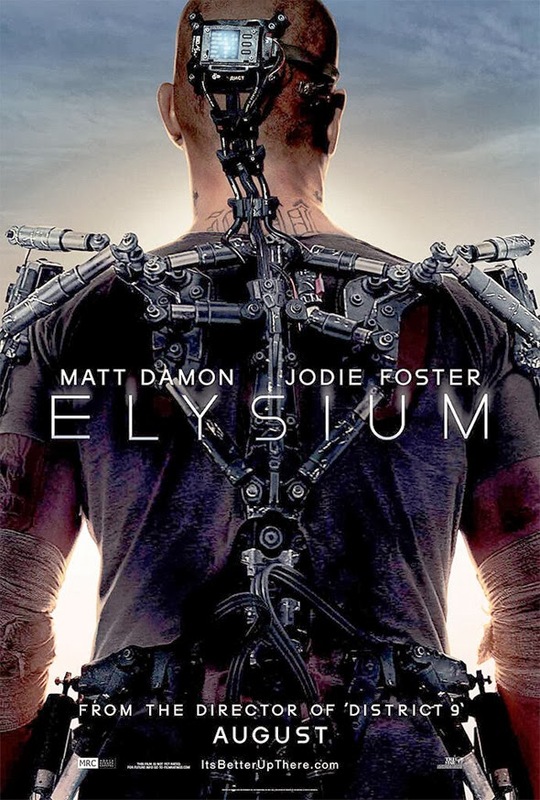 Elysium suggests the only difference between humans is their level of wealth – the commentary is economic – and physical superiority is determined by access to medical attention, not genetic predisposition. It shies away from telling us how people were picked for this spaceship world to start with and is clear on the fact that you can ascend with the help of money. But what happens in The Time Machine is evolutionary division between the haves and have nots, demonstrating Wells’s interest in emerging evolutionary theory. Wells had trained under Thomas Huxley (‘Darwin’s bulldog’) and was an active participant in contemporary evolutionary debates. His Eloi demonstrate the potential threat of degeneration. They don’t have to fight to survive and become too weak to fight when necessary. And in his Morlocks he rejects the idea of ethical evolution. Moral behaviour is not innate, nor the necessary result of biological ‘progress’. Ultimately cosmic evolution will win out, as the time traveller sees when he ventures even further forward in time, and man will be obliterated. Elysium takes on none of these issues. The ‘superior’ beings up above are made by machines – those which doctor to their ills or the military exoskeletons which allow them to participate in killer action sequences. But its democratic ideology will not allow for biological division. There is one last major difference. Elysium ends just when things are about to get ethically interesting. The film refuses to address the fact that everyone cannot live in Elysium. Are we meant to presume that there were always enough medical resources but that those above weren’t sharing? But the screenplay has specifically told us this is not the case. Wells’s Morlocks bite back (literally). Damon and crew also put up a fight but in order to achieve a universal happiness and prosperity which is obviously unachievable. Wells isn’t afraid to ask the big questions about humanity’s future and to propose at times unsavoury answers. And that’s why his work remains the standard for science fiction. Are you a victorianist? Or do you just like films? Let me know what you made of Elysium and its flirtation with Wellsian ideas below, on Facebook or by tweeting @SVictorianist! 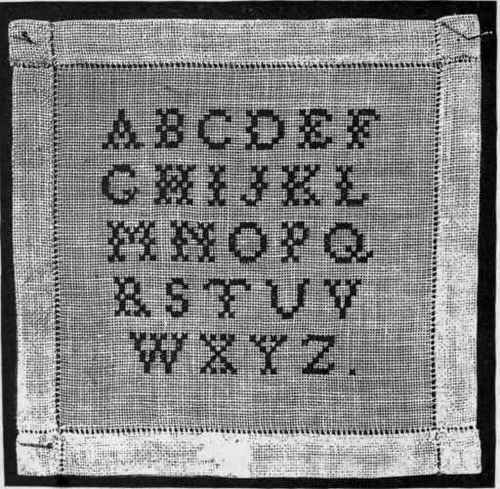 What should be ‘E’ in my Victorian Alphabet? Let me know here, on Facebook or by tweeting @SVictorianist! Approaching a poem for the first time can be daunting – especially given that ‘unseen poetry’ is an exercise most often come across for the first time under examination conditions. Poems, unlike novels, don’t have much impact on most people’s everyday life beyond the classroom – maybe only at funeral or in a Valentine’s day card. Google any famous poem and I guarantee suggested searches will include people asking what they ‘mean’ or desperately seeking a prose ‘summary’. So, following on from National Poetry Day earlier this week and using Tennyson’s poem ‘To Virgil’ (1882), I’m going to give some practical pointers for approaching a new poem. First up, read the poem through a couple of times – don’t look at any footnotes you have or start looking up unknown words or references. Just read it for sense: try to follow the argument, or narrative (if there is one). Reading out loud may help, especially if the sentences are long or grammatically complicated. By this point you’ll know something like this: Tennyson is praising Roman poet Virgil [throughout]. He mentions lots of the things which appear in Virgil’s poetry [Stanzas 1-7], recognises that a lot has changed since Virgil was writing [Stanzas 8-9], but concludes that his work is still important – to Tennyson personally and in the history of poetry [Stanza 10]. This is all quite straightforward but to engage with the poem any deeper you’re going to have to address any gaps in knowledge which are hindering you from getting the import of every line. These might include not knowing much about Virgil and his writing generally and difficulty with particular words (there are a lot of proper nouns in this poem). This first issue is easily addressed. You don’t need to go any further than line 2 of Virgil’s Wikipedia page. This reads: ‘He is known for three major works of Latin literature, the Eclogues (or Bucolics), the Georgics, and the epic Aeneid.’ While more detailed knowledge of Virgil’s writing can allow you to get more from this poem all that you really need to know to understand its structure is that Stanza 1 deals with the subjects of Virgil’s epic, Stanzas 2-3 deal with the Georgics (didactic poems about agriculture and the countryside) and Stanzas 4-5 look back to the pastoral Eclogues. Tennyson is reviewing Virgil’s work in reverse chronological order. Stanza 1: Virgil, you wrote a poem about Troy burning down, the foundation of Rome, wars, the relationships between fathers and sons and Dido committing suicide. Stanza 2: You also wrote about the countryside and were a great writer (better than Hesiod). Stanza 3: You wrote about various agricultural topics in really good poetry. 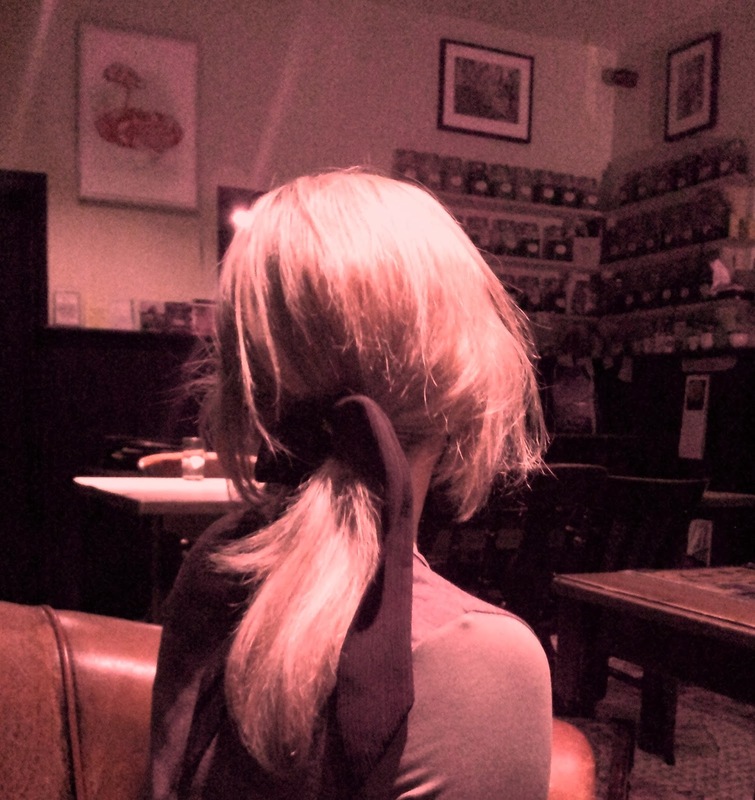 Stanza 5: And these things happened. Stanza 7: You remain famous and your words true and important even though all who you lived with are now forgotten. You shine like the golden bough which allows Aeneas to descend to the underworld does in the Aeneid. Stanza 8: Rome doesn’t exist any more but your poetry does and is still powerful. Stanza 9: Now Britain (which is superior because comprised of free men not slaves) is powerful, even though, when you lived, Britain was isolated and unimportant. Stanza 10: I praise you and have loved your poetry my whole life. You’re the best poet ever!! Now that’s done (we understand the poem) it’s on to the important stuff – some actual analysis. This can sound off-putting but all I’m really asking is why Tennyson’s poem sounds great, while my summary reads pretty terribly. There’s plenty we could say here but here are some tips about where you can start (with any poem). 1. Consider the sentence structure. Look at the poem again. It’s one long sentence. Have a look at how Tennyson does this. The structure relies on three stages which mark the progression of the poem. Stage 1 sees Virgil addressed in various ways (‘Roman Virgil’, ‘Landscape-lover’, ‘lord of language’, ‘Thou that singest’, ‘Poet of the happy Tityrus’, ‘Poet of the poet-satyr’, ‘Chanter of the Pollio’, ‘Thou that seest’, ‘Thou majestic’, ‘Light among the vanished ages’ and ‘Golden branch among the shadows’). At this point two things are important: Virgil is the centre of the poem and this is why he’s so great. But Stage 2 sees a shift, grammatically and thematically. Two instances of the word ‘Now’ see the sentence moving on to get to the eventual point of what is being said to Virgil (although we’re not there yet). The reader’s focus at this juncture moves away from Virgil to consider the current age. The whole momentum of the poem has built up to Stage 3 – the introduction of ‘I’ and the verb which makes this poem a sentence (‘I salute thee’). 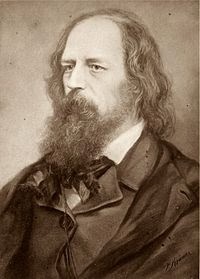 The result of this is that Tennyson himself becomes foremost in our minds – Tennyson as the modern successor to Virgil, living in a new golden age of empire, when Virgil’s imperial Rome is long dead. We can look at the language to back up this idea further but analysis of sentence structure alone has brought us to this point and given us a key for reading the whole poem. 2. Look at figurative language. This is the sort of language you’d expect in a poem. Similes and metaphors that you were taught to look for at school and the sort of unusual verbs which didn’t feature in my dull and prosy summary. Let’s take an example. ‘Ilion’s lofty temples robed in fire’. Troy is a city and neither the city, nor its ‘temples’ should really be ‘robed’ at all – let alone by fire. What does ‘temples’ even mean here? Is Tennyson referring to religious temples or is he taking the personifying imagery even further, giving the city a head as well as clothes? These phrase packs so much in. Troy is depicted as majestic and proud even at the moment of her destruction – ‘lofty’ physically (having tall buildings) and ‘lofty’ as in proud (a reason often given in classical texts for her destruction). The destructive fire makes Troy regal even as it levels the city – perhaps there is even some implication that being destroyed is necessary to establish a city or nation as imperial. Troy falls, Rome falls – are we to infer that Britain is next? All that is from just one phrase. What could we say about ‘All the charm of all the Muses/often flowering in a lonely word’? or ‘All the chosen coin of fancy flashing out from many a golden phrase’? 3. What does the language remind you of? Notice all those ‘thous’ and ‘thees’ and ‘seests’? I guarantee that’s not just ‘the way poetry is’ or how Victorians spoke to each other. I’ve already looked at some of the religious content in the poem and I think you’d be right if you’re identifying lots of the language here as religious and hymnal. All the addresses to Virgil I’ve already listed, ending on the word ‘man’, the repetition of ‘Universal’ all praise Virgil in a way which borrows much from Christian liturgy and is just on the acceptable side of blasphemous. Not every poem you will read will borrow religious language but poets will often gesture to different types of writing and speech. Trust your instincts and ask yourself why they are doing this. These are just a few tips for how to go about reading a poem – and different poems will present different challenges. One thing they’ll all respond to well though is putting in time. A good novel is often called a ‘page turner’. A good poem should have you lingering over every word. How do you read poetry? Any thoughts on Tennyson’s ‘To Virgil’ and what should the Secret Victorianist write on next? Let me know below, on Facebook or by tweeting @SVictorianist! Caroline’s language is distinctly un-academic and the model of reading she subscribes to one based on emotional exchanges – between reader and listener (for whom the act of reading, like teaching, acts as a wooing ritual), but also between reader and writer (Caroline is on first name terms with William!). But in this lesson Caroline is ignored. What the couple’s reading of Shakespeare leads to instead is love – and this love, in true love plot fashion, relies on mutual emotional education. 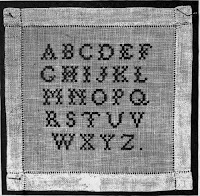 What should be ‘D’ in my Victorian Alphabet? Let me know below or by tweeting @SVictorianist. And don’t forget to like the blog on Facebook!